This has been my go-to drink the last few weeks. I’m kind of obsessed. It tricks my body into thinking I’m drinking something totally terrible and delicious, but I’m not. It’s a healthy drink with no added sugar. 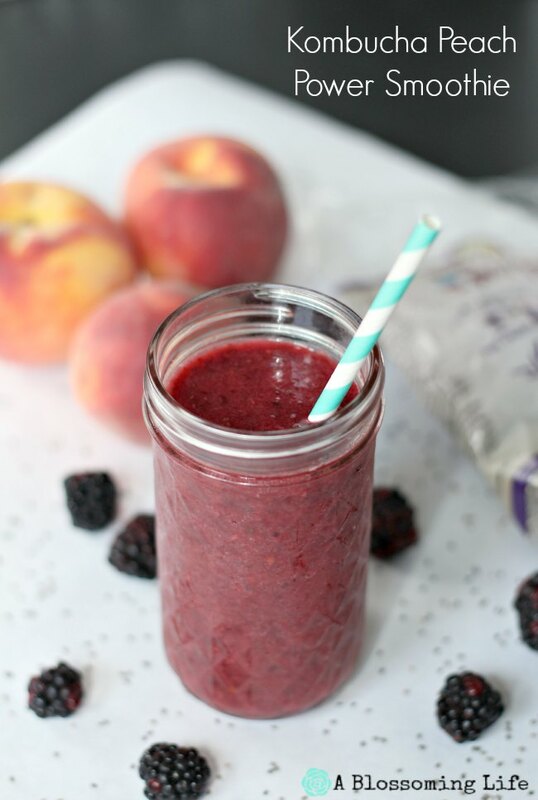 If you’ve been around the blog a bit, you may have noticed I love, love, love smoothies. I drink one just about every day. Well, remember that one time you accidentally forget to pick up your beloved frozen fruit to make your delicious smoothie? What is a girl to do? You omit it and make some other kind of delicious drink. And Monkey Milk is born. 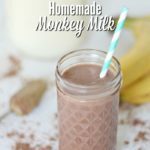 Why monkey milk? No idea. Seemed catchy, and there is a banana in it. 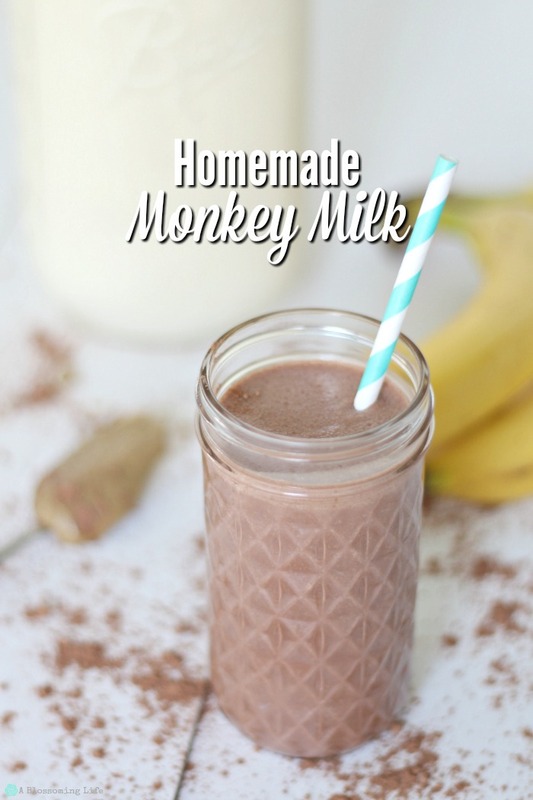 This monkey milk is creamy, sweet, chocolaty, and has some added protein in it that the kids will love. I made mine with grass fed raw milk (added about 20% of the cream on top and 80% of the shaken milk), banana, cocoa powder (like this one) , and sunflower seed butter (like this one) (you can use any nut butter you would like). If you don’t have raw milk on hand, or you prefer the pasteurized stuff, you can use whole milk with a little whipping cream or some half and half. If you have low-fat or skim milk… then, as a friend, I’m going to nicely tell you to throw that junk stuff away. It’s not healthy for you (seriously science is proving that…see here, and here). I mean, if we were supposed to drink skim milk, wouldn’t it come out of the cow that way? 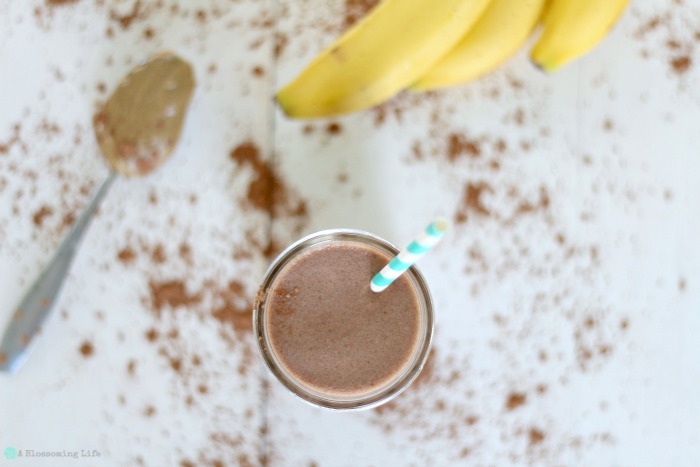 This sweet, creamy, and chocolaty drink will make your kids think they are drinking a not-so-healthy drink. 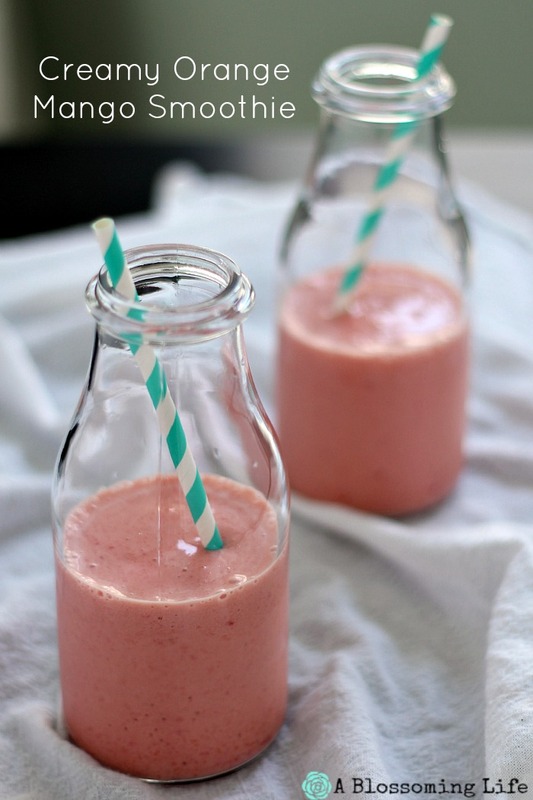 In a blender (like this one) , add all the ingredients and blend for about 1 minute. Scrape down sides if needed and blend again for a minute or two, until the drink is nice and frothy. If not using raw milk, use whole milk mixed with whipping cream or half and half.